Many a pew-sitter heard a Sunday sermon preached from 2 Timothy 1:5 on this Mother’s Day 2015. For many of them, it was the same as or similar to the sermon they heard on Mother’s Day last year, and the year before that, and the year before that, and so on. Even independent churches that belong to congregational denominations which do not preach from a lectionary seem to turn in unison to 2 Timothy 1:15 on Mother’s Day. Some pastors who make a practice of preaching expository sermons, verse-by-verse, through a given book of the Bible will stop their current sermon series on Mother’s Day, and turn to 2 Timothy 1:15 to undergird a topical sermon on Motherhood. 2 Timothy itself is a letter written by the Apostle Paul to his son in the faith, Timothy. In the opening chapter of this epistle, Paul reminds Timothy of the sincere faith within him that is also shared by his grandmother and mother. Although the chapter mentions Timothy’s mother and grandmother, it is absolutely unrelated to the modern holiday known as “Mother’s Day” and is not meant as an admonition to mothers to act in a certain way. It could not have been meant as such given that Paul is writing a letter to a man and not a mother. In fact, no biblical writer would have had any knowledge or understanding of the modern holiday called “Mother’s Day.” So why is 2 Timothy 1:5 the most popular passage of scripture preached in evangelical churches on Mother’s Day? The answer is simple and two-fold. Mother’s Day is the perhaps single Sunday when the most wayward and even lost sons of Christian mothers are in the audience. Mother’s Day rivals Christmas and Easter as the day when the most people attend church. Even the most worldly son of a church-going mother will make every attempt to be at his mother’s side at church on Mother’s Day. Given that such sons aren’t in church regularly, it is safe to assume that these young men are lost in their sin and dead in their trespasses. Knowing that a high number of lost people are in attendance, preachers attempt to preach a highly evangelistic sermon. The message of a 2 Timothy 1:15 Mother’s Day Sermon is usually something like “Your salvation is dependent upon your own repentance of sin, not that of your parents. If you haven’t repented, do so now. ” A respond to such a call to repentance would answer the prayers of many a Christian mother. Find a Christian mother who does not pray daily for her children, especially for the salvation of any lost children, and you will likely find a woman who is in a coma or otherwise mentally incapacitated. Thus, especially evangelistic emotional sermons tend to be preached on Mother’s Day. Many lost people are there to hear them. 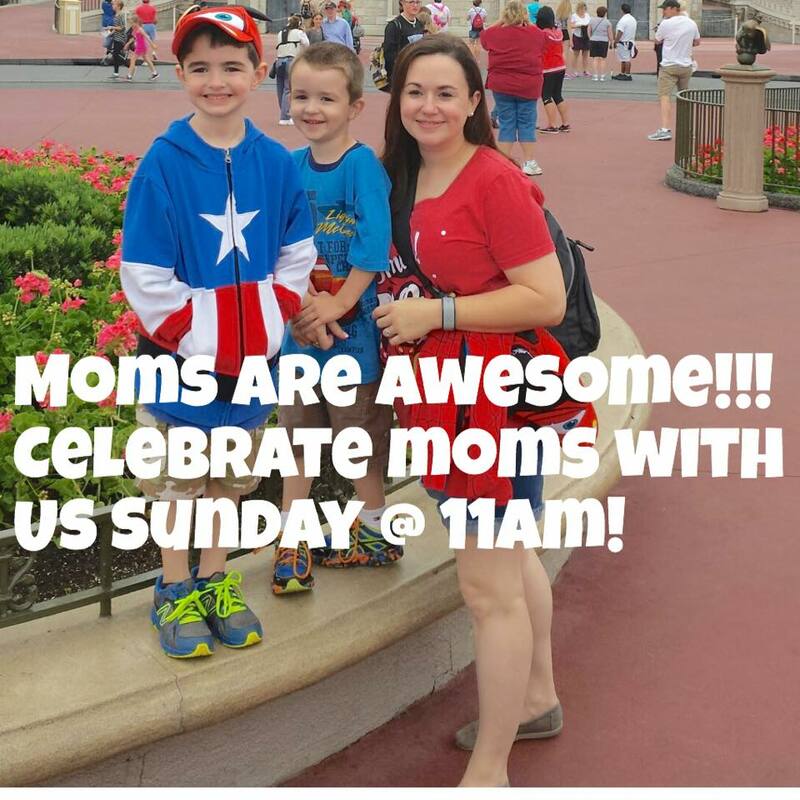 It is not uncommon for churches to bring in a guest-preaching evangelist on Mother’s Day who specializes in such messages. Preachers know that thinking about the love and dedication of one’s mother can cause even the most hard-hearted man to well up with tears. Many hope these emotions will spill over into a profession of faith (decision for Christ). Unfortunately, it can be the case that these emotions spread over into a walk-the-aisle profession but not true repentance. While salvation is an emotional experience, preachers should be careful lest they manipulate emotions to a false conversion. Preachers should also remember that a Sunday sermon should never be catered specifically to lost people. The purpose of a Sunday worship service to worship God and edify the body of Christ. Lost people cannot worship a God whom they reject and are not a part of the Body of Christ. Unfortunately, a preacher who did not give an expressly evangelist message may have a hard time explaining that to the mother who only manages to get her lost child to church three of four times a year. This one of the reasons that churches leaders should do everything within their power to break the “invest and invite” model of baby boomer evangelicals. Rank and file Christians should, in light of the great commission, see themselves as evangelizers. Pastors are not hired-gun evangelists. They are shepherds of the saved. The American church tends to contextualize American Culture into the life of the Church, often to the neglect of God’s glory. Christians who feel that their church inappropriately gives priority to holidays should approach their church leaders with their concerns in a respectful way. They should keep in mind that church leaders likely mean well when engaging in themed services. The church is the family of God, so to speak, and the local church is essentially comprised of families. Church life edifies Christian families and it is not surprising that church leaders would want to recognized family-oriented holidays. However, church activity should always be done for the right reasons. Those reasons must always be the same: to glorify God and edify the body. Holidays should not be used as opportunities for Finneyistic church growth schemes and filling for the pews and plates. Each Sunday is a special day in and of itself and should be used by those in pew to pay homage to their Savior. If you were one children in the the pew with your Christian mother on this Lord’s Day and you don’t know Jesus as your Lord and Savior, I pray that you follow her example and come to saving faith in the Lord Jesus Christ by repenting of your sins. Liberal churches who deny the Pauline authorship of Timothy surely have to find other ways to recognize Mother’s with topical sermons on this particular holiday. I recall that most of the last few occasions when I found my own wayward brother in church either happened upon a Mother’s Day or Father’s Day. This is to commit the same error that the early Roman Catholic Church committed, by associated pagan feast days with Christian Saints instead of pagan gods in an obvious attempt to conform to worldly culture. My pastor’s wife relayed the story to me of standing up on Mother’s Day to be recognized while pregnant with her first child. Other women (who obviously weren’t thinking about when life begins) in the church later complained that a woman without a child stood. My church, unsurprisingly, does not participate in this activity.